We believe in full disclosure, be it information about our endeavours or information about the funds that you may wish to know about. Our app has been designed with the same philosophy. Furthering that intent, we decided to make your investing experience even more enriching. 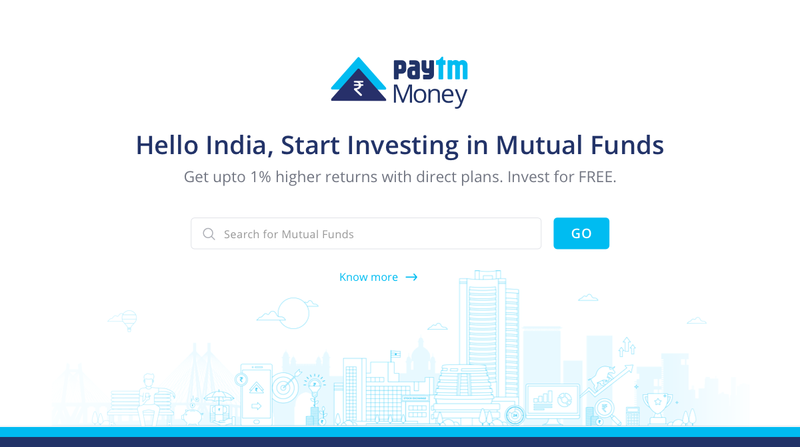 So we present to you, Paytm Money — our freshly brewed website! While we are still building capabilities on the site to enable transactions, at the moment, the web version contains all the information in an immaculately precise way. On the website, you will find a search tab. You can look up absolutely any scheme here, and get relevant results within seconds! All of these subcategories are also visible in a list format in the top left Menu on the home page. Each sub-menu will take you to a unique segregation & listing of funds relevant to the category. to help make users take an informed investment decision. The revamped website is aimed to ease the fund research and discovery for investors. With a wider screen & space, this information will be easier to consume for investors. All the filters & quick search results as on the app, will also be available on the website. 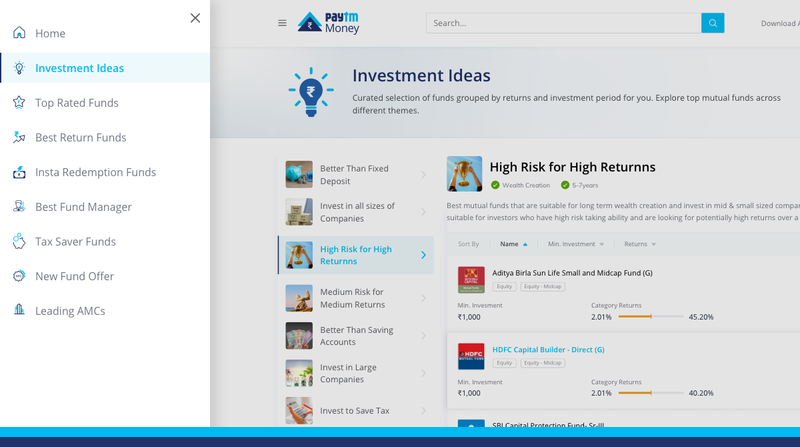 Users can sort funds by minimum investment amount, type, returns, fund size, name, mutual fund houses / AMCs, category or type of funds & historical returns. Currently, you can only browse & research through funds on the website. 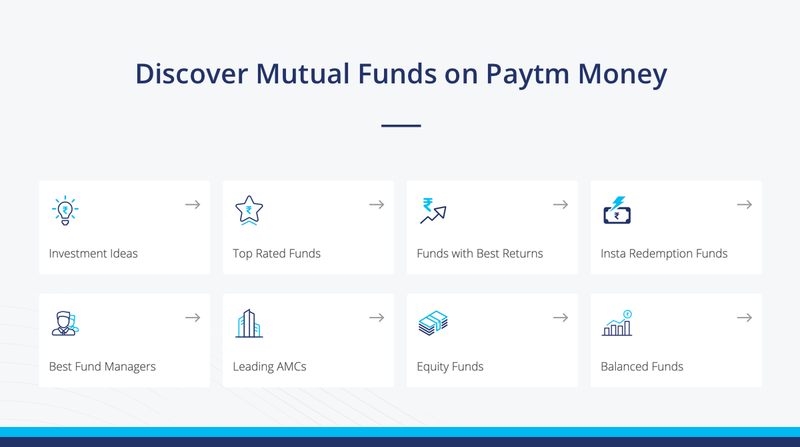 In order to invest, you may download the Paytm Money app on Android or iOS, complete the Know-Your-Customer process & then begin investing.